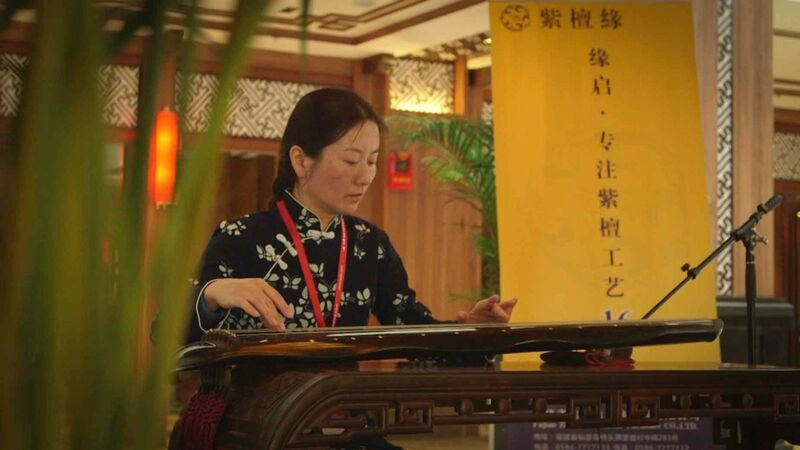 The Chinese guqin artist, Jijian Fan, has been given the title of inherited master of non-material cultural heritage at city level. Music is a universal language. 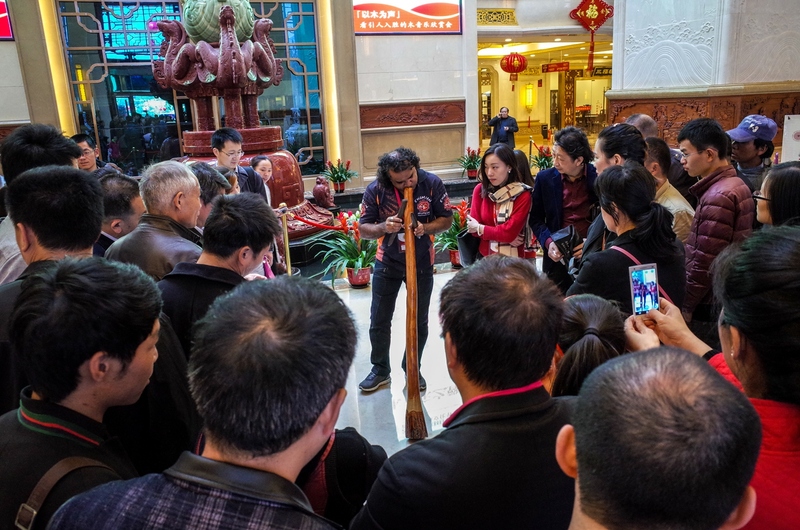 To celebrate WWD, the guest musicians of wooden musical instruments from around the globe made showcases that aroused considerable interest from the audience at the Wooden Music Fair. Three Asian wooden music recitals took place at Hall III. The backdrop for the performances was a traditional Chinese courtyard, a perfect setting for ancient art. All the instruments have endured many dynasties. 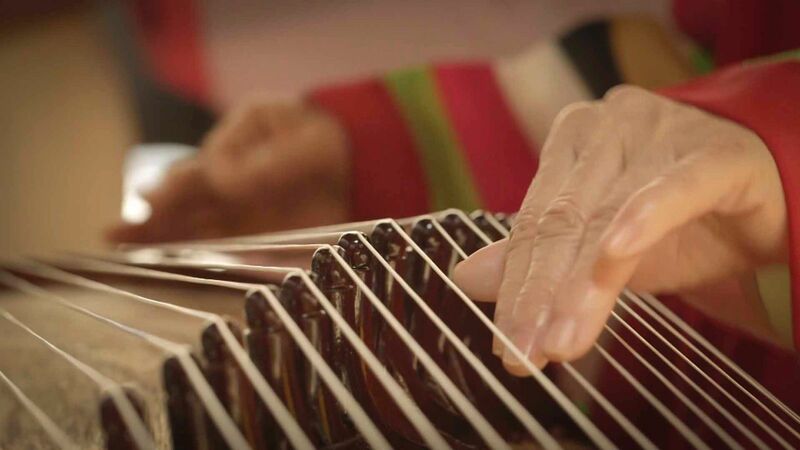 The bamboo drum and gayageum were developed around the 6th century have very fine components that contribute to the exterior and tonal quality. 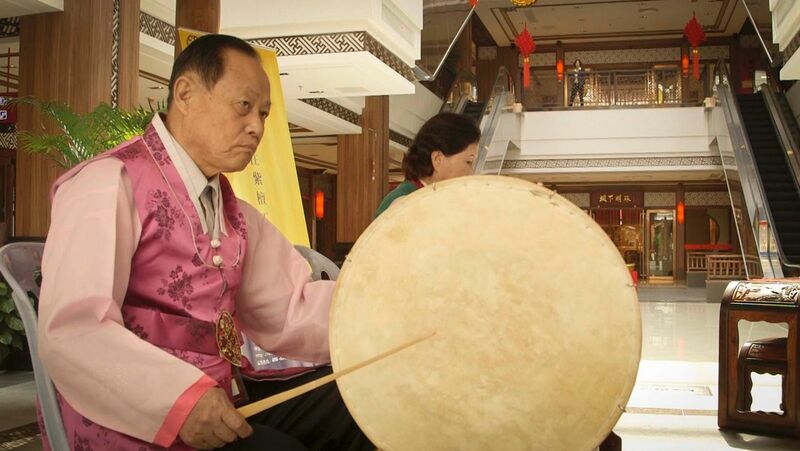 The recital of Korean bamboo drum is presented by Mr. Jide Zhou who founded the Institute of Research for Folk Music Instruments in 1991 and is a professional maker of traditional Korean musical instruments. 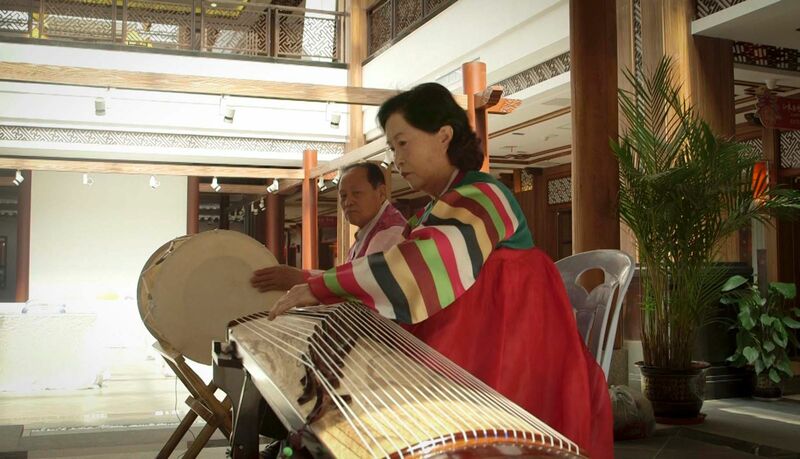 Ms. Yangyu Jiang, front, who was honored the title of master of non-material cultural heritage at provincial level, plays Korean gayageum while accompanied by bamboo drum. The Music Fair also presented a diverse collection of ancient and aboriginal music of different genres of the west. Wooden musical instrument performers from Ireland, Switzerland, Australia and Africa made their appearances at the Sanfu Gallery during the WWD celebration. 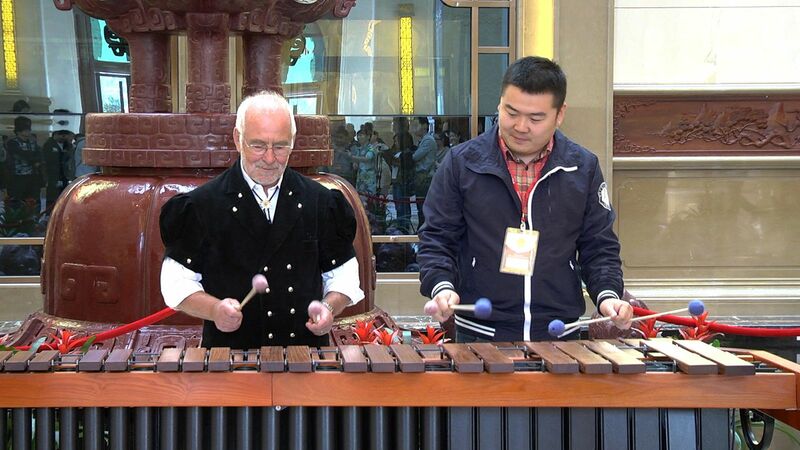 Sheng Wang, Chinese marimba players, is the Vice President of the Marimba Association of China. He is a well-rounded musician that learned percussion from an early age. Marimba always has its charm with the crowd. Dubliner John Butler, who was obsessed with the sound of the Irish uilleann pipes, decided to devote himself in pipe making. Irish uilleann pipes are known as the national pipes of Ireland were developed in the mid-18th century to early 19th century across Britain and Ireland. 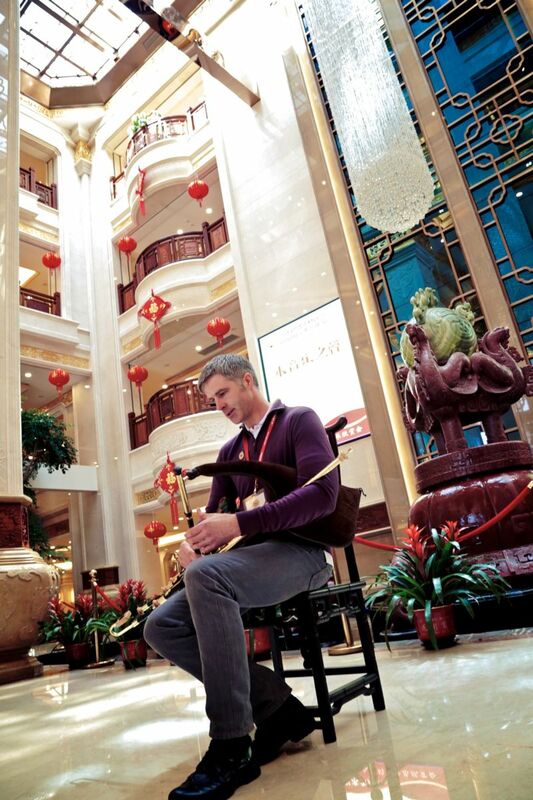 Making a debut in China, John Butler takes stage at the Sanfu Gallery. 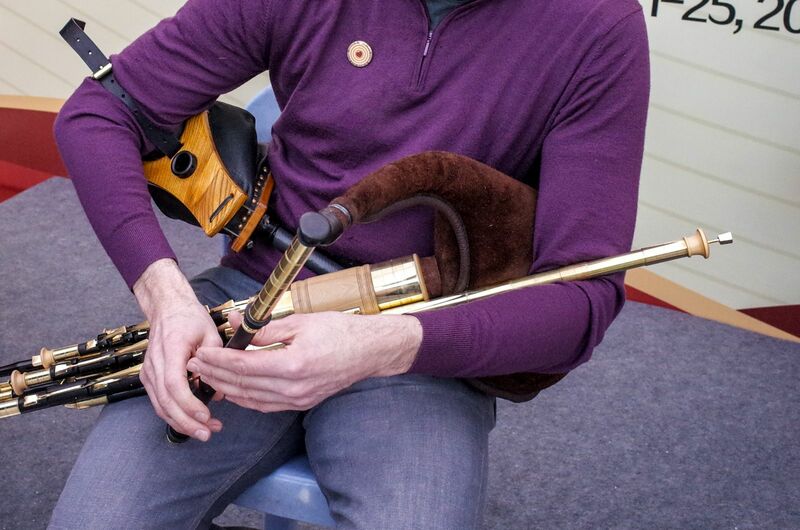 The main component of the Irish uilleann pipes is the regulators’ closed keys which enable the piper’s wrist to make simple chords. Matthys Bohm started making Siwss alphorns after his retirement. He is now a master artisan and has never lost his passion. Michael Mauer, an Alphorn player, honors his traditional music by integrating elements of jazz, classical and folk from around the world. 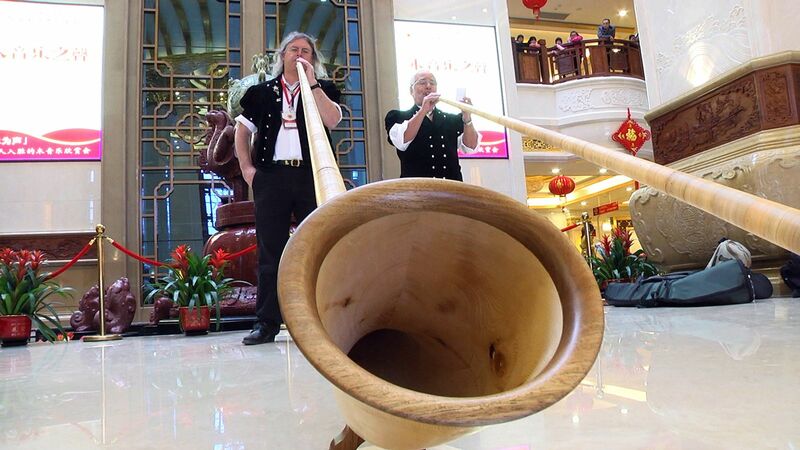 The alphorn was originated and used in mountainous regions of Switzerland in 1400 AD. Swiss alphorn musicians, Michael Maurer, left, and Matthys Bӧhm, right, demonstrate the sound of their national ancient instrument. David Hudson is a versatile didgeridoo performer. His demonstration of playing it in various ways was a hit at the Music Fair. The traditional didgeridoo is made from a Eucalyptus branch that has been naturally hollowed by termites. David Hudson's presentation of his didgeridoo expertise draws in a large attendance. The dance-music ensemble of the Tanzanian Police Band brought their ancient tribal culture alive. While they danced, drummed and rattled, the audience just could not help themselves but to clap along and move to the feverish combination. The performers of Tanzanian Police Band in their aboriginal outfits show the steps to the audience after an African percussion recital. The music section is simply a joy to watch. Furthermore, musicians extend the appreciation of music and trace their origins back to thousands of years ago. They gave brief historical accounts in a lecture and lively performances as demonstrations. Jackson Wang, founder of WJX Percussion Ensemble, introduces Marimba to the audience during the lecture. While the audience experienced the beauty and the power of the wooden music, the artists explored the dimension where varying ethnic cultures intertwined. The Tanzania Police band gives demonstration electrifying the atmosphere. The quartet improvises free rhythms while playing to a full house. 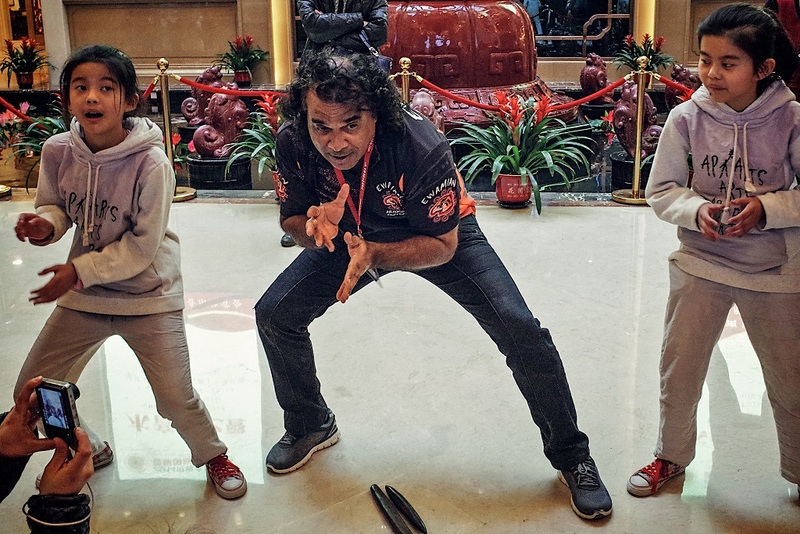 At the closing ceremony, the musicians and dancers of wooden instruments joined hands to present their distinctive national heritage in harmony in front of woodcarvers. Everybody was captivated by the creative collaboration, without boundaries. The quartet improvises free rhythms while playing to a full house. All artists perform in tune with each other while expressing their individuality. Dazzling! The enthusiastic audience holds their breath with open eyes in witnessing a phenomenal performance. As a whole, the most striking was the way in which they teamed up producing aural and visual energy to everyone. The performers themselves were also overwhelmed with the energy. The performers make a passionate tribute to the world wooden music. Not only did the wooden music encourage conversation among cultures, it was beautiful itself. 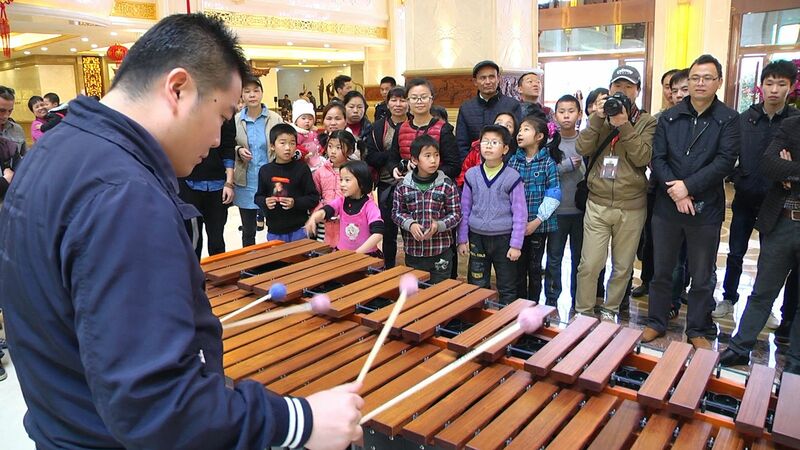 As everyone enjoyed the wonderful moments together, the values of the wooden music were made known to a larger audience.